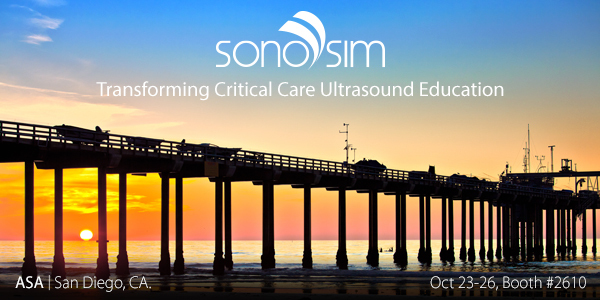 Join us at the American Society of Anesthesiologists (ASA) Conference and experience firsthand how the SonoSim® Ultrasound Training Solution can be used to seamlessly integrate point-of-care ultrasound education into your Anesthesiology-Critical Care program. Anesthesiologists and intensivists are increasingly utilizing bedside ultrasound to assess for various normal and pathological conditions. 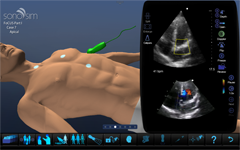 Bedside ultrasonography is a relatively inexpensive, safe, and noninvasive diagnostic tool with many medical indications. Solution content and features at ASA Booth #2610.